Happy Friday, everyone! After a week of grayness the sun has finally broken out in Seattle and I was able to enjoy lunch on the patio — yay! Sadly computer screens and sunshine don’t mix well, so I’m back inside to do some website work and to recap the week. 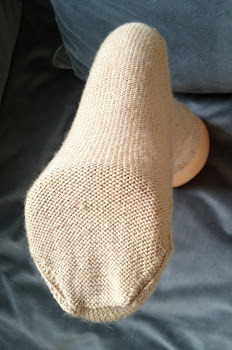 I swore that my next socks would use ONLY KNIT stitches, and indeed they’re chugging along quite nicely. 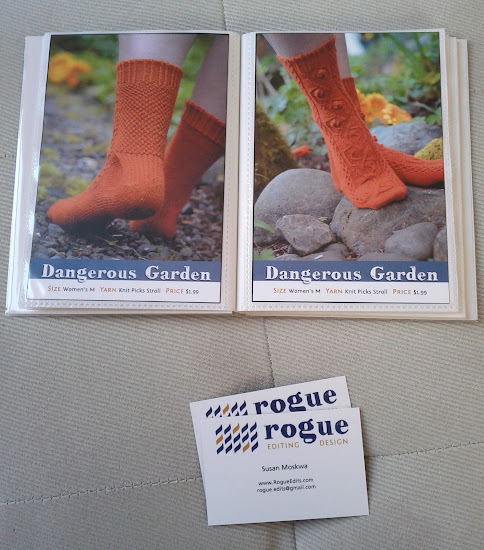 In other news, I don’t have any “official” work-related business at Sock Summit, but I’m hoping to find some time to talk to some of the yarn vendors and establish some design contacts, so I’ve been doing a little prep of my own… ordered new business cards and put together a mini-portfolio of my patterns. 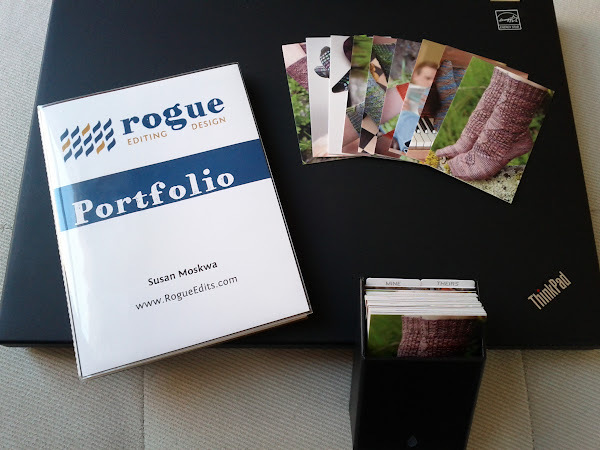 I had some vague notions about putting together an 8½ × 11″ 3-ring binder, but when I actually started browsing binders I realized I would never want to carry something that big around with me; I need something little that I can just keep in my bag at all times. You never know who you’re going to run into when! So I just bought a little two-dollar photo album and focused mainly on the pictures. I’m pretty pleased with it, if I do say so myself. I’m heading down to Portland Wednesday evening, and (aside from the classes, of course!) am looking forward to watching the Fleece to Foot competition. Sheep! In the Convention Center! What fun! 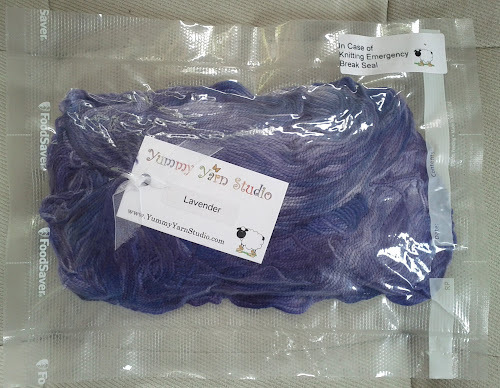 Speaking of, did you catch this tidbit from Ravelry? And I’m currently knitting a log cabin blanket for another cousin who’s pregnant (shhhh… don’t tell!). Have you finished your Sock Summit homework? What’s on your needles?